AngePostecoglou is a 51 year old Australian manager that has been in charge of a number of clubs including: South Melbourne, Panachaiki, Brisbane Roar, Melbourne Victory and the latest obstacle which was given to him was to control of the Australian national football team. The German manager HolgerOsieck was sacked from being the head coach of Australia on October 23 of 2013 after the national side had sustained consecutive losses against Brazil and France. Following those defeats, AngePostecoglou was appointed as the new manager of the Australian national football team and one of the more recognized achievements that he has reached with the national side was when Postecoglou pushed his team to the finals of the AFC Asian Cup of 2015 and became the champions after defeating South Korea with a final scoreboard of 2-1. Winning the AFC Asian Cup is something that Australia had never done before in the history of the national side and it’s a very impressive feat to accomplish but when AngePostecoglou showed his medal and trophy to his father, he wasn’t really surprised or impressed. "I don't think it's a unique experience. Anyone growing up in that era with European fathers, they were just harder people back then. He thought that's the only way to keep motivating me but I'm sure in his own way he's proud of me." 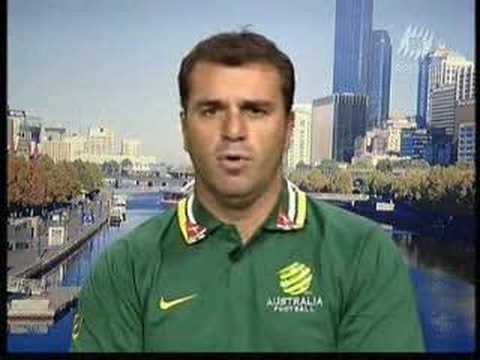 Andre Postecoglou said. The next task of Andre Postecoglou is to help the Australian national side reach the 2018 FIFA World Cup and qualify for the upcoming worldwide competition.